Farmer-owned and client focused, we are dedicated to providing comprehensive laboratory analysis, record management and information services. 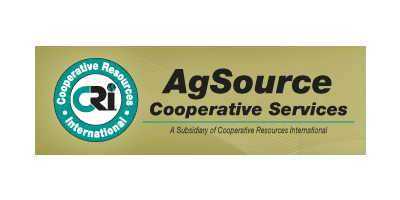 From DHI to soil testing, AgSource and AgSource Laboratories offer valuable data and superior customer service. AgSource operates three divisions: Agronomy, Dairy Herd Improvement (DHI) and Food and Environmental Services. Its Verona, Wis., headquarters also serves as its dairy record service center. Laboratory locations in the Midwest include Menomonie, Stratford and Bonduel, Wis., Ellsworth, Iowa, Lincoln, Nebr. and Umatilla, Ore. AgSource offers forage analysis and DHI services from CRI North West Labs in Jerome, Idaho. In 1957 and 1958, a pilot project was developed to machine process DHIA records inWisconsin. By 1959, 50,000 cows were processed with this technology and Agricultural Records Cooperative (ARC) was formed to provide an effective organization for the expansion of this service. ARC continued to expand and by July, 1965 all Standard (supervised) DHIA herds in Wisconsin were machine processed. In the early 1970's several local DHI Associations merged with ARC allowing for direct field service. Besides producers who were direct members of ARC, many independent associations paid to have their records processed there as well.